Thank you for posting this! I have your engraving tip and needed some ideas for using it! Hey Amy, I'm curious to know if you've tried this little tool with leather? Hi! I received my etching tip for the explore. I have a question - do I need to put a popsicle stick under it when I put it in the holder? When I drop it in mine, the tip is on the mat. Also, How thick do you recommend metal clay be rolled and dried for etching? Thanks! I figured out how to install it properly. However, when I went to engrave, it barely scratched the surface of a sheet of copper. Is there a way to get a deeper etch? Try using a multi cut of 2-5 depending on how well it works. Some metal pieces are just too hard for the machine. It doesn't have the power to engrave on things like steel. Aluminum works very well! I used the engraving tip in the Explore on blanks & it barely scratched the surface. How can you change the pressure or use multi cut if it is in the pen holder slot? Thank you! I bought this engraving tool but couldn't get it to engrave at all . I have the explorer , any tips? Will this attachment work with the Cricut Expression? Will this tool work this the Cricut Explore One? I'm sorry it will not work in the One. It is a different sized blade holder. If you have an Explore machine look for the Explore category. They are on back order but will be back before January 18th. I'm about to go insane trying to "trick" my new Explore into embossing into an aluminum soda pop can. I have watched endless videos about using the scoring pen (doesn't work) even when using the pressure on the highest setting. When I am able to get a great result (with cushion under the metal, I have those awful roller marks. Also, when I practice using pre-loaded art I get a better result but when I use my own uploaded art I get only a ---- (scoring look). Any suggestions? I bought this machine for this purpose only and I'm about to take it back after like 20 hours of trying!!!! Would this work to etch into a very thin wood? It sure will! As long as the wood is thin enough to fit under the rollers on the machine! Amy, is there anything available for the Cricut Explore One model? Hi, would this tool work with the new cricut explore air 2? Yes this will work in the Explore Air 2. All of the Explore tools will. What thickness of aluminum like tags found on amazon.. or other sites. The engraver may rip paper depending on the thickness. 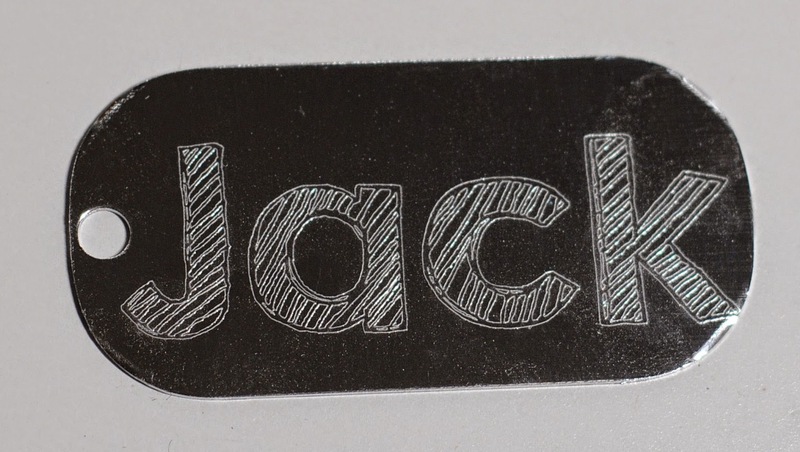 The machine doesn't have the pressure to emboss on thick cardstock. It can emboss on vellum and thin metal sheets though. My daughter placed first at the Louisiana HOSA Convention in the Foresics category. She received a gold medal and I would like to engrave it for her. Can you recommend a good font to use and how many times should I go over the writing? You would have to be able to fit the medal under the rollers in the machine. If you can do that you can give it a try. Search my blog for chalkboard fonts. And I would go over 3-5 times depending on how hard the medal is. Amy I just purchased the explore air 2 and am wondering if I can use the engraving tool in it. If so, which one, the pen or the actual tool you show here in the blog. You can use all the tools that fit in the Explore in the Explore 2!! Really I have read a nice post here, Thanks. 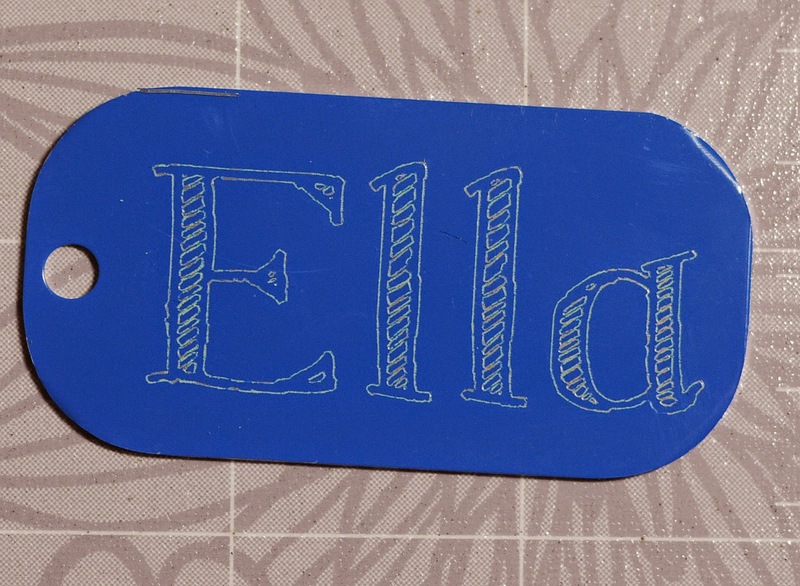 can you engrave small objects such as a flat metal bar sized 30mm x 5mm? That's a great idea really. This is simple but unique and looks quite interesting activity. Thanks for sharing this post. I am going to try something new like this surely. Keep sharing. Hello, I just ordered the engraving tool. It said where I ordered it that it does fit the cricut explore one. 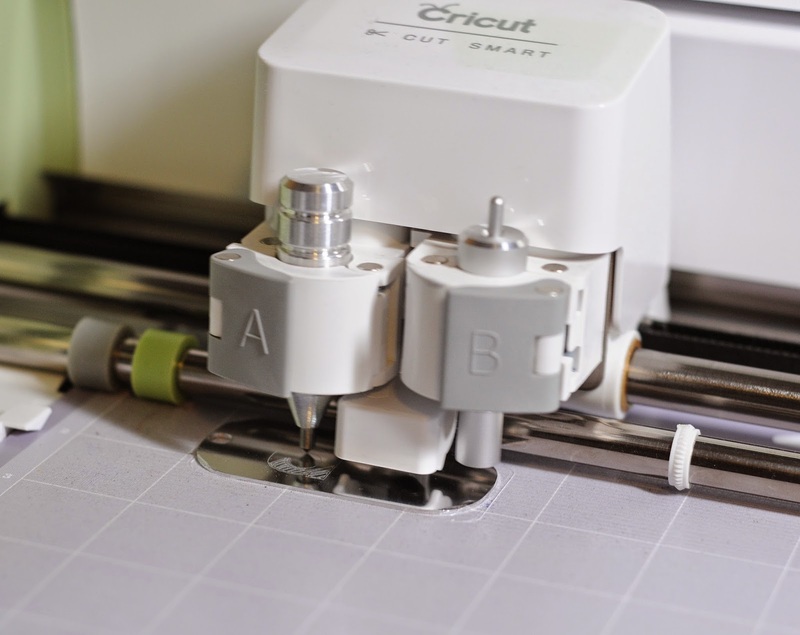 But all the cricut machines I'm seeing it used on has two spots for needles, engraving tools. My cricut explore only has one spot. But it does fit. I haven't tried it yet. I hope it works. If not can I send it back? 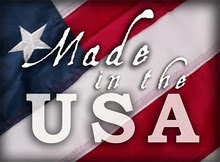 I am new to the Cricut world, I apologize for asking...can this be used on the Maker or is there a different engraver for that machine? I am a bit overwhelmed. �� thanks so much!! How long does the blade last? Or how many keychain blanks (for reference) can it etched before it dulls? Cassie,same here. Do you know best font & setting? Cassie, me too! Do you know best font & setting for port b? The Maker has a pecific engraver that fits in the blade holder and not the pen and scoring stylus holder. I just got this for christmas and it will only fit in port b on the cricut explore air 2...which model is used in the pictures that fits in port a? Port b leaves a rough cutting look and doesnt look nice at all? I've been wondering this as well! There is nothing on it anywhere... Have you tried it? Did it work? What machine do you have? The tool I received fits into the B slot, I can't find the one that fits into the A slot. I have a cricut explore air 2. It does engrave, however, I would like to use the writing version. I like the chalkboard font as well, but that won't work for cut. Where can I purchase the tool to fit into the writing chamber?